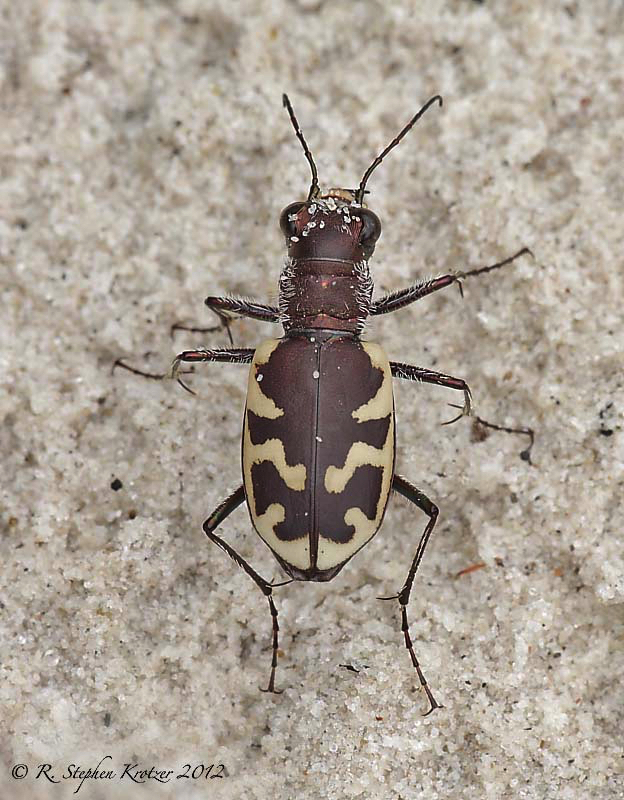 Cicindela formosa is a large, wide-ranging species with numerous recognized subspecies. 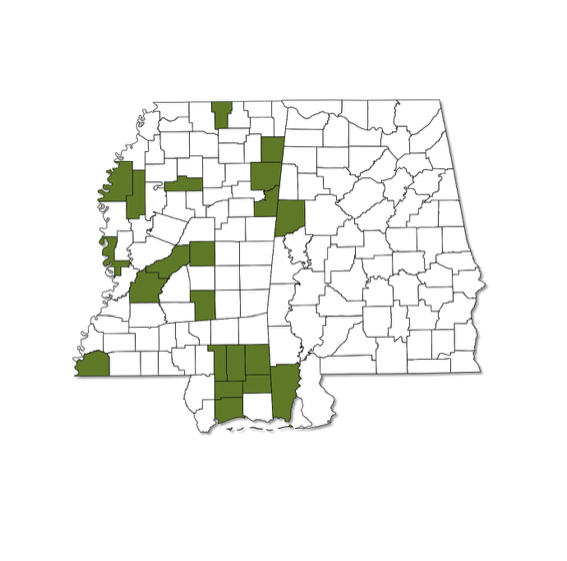 In Alabama and Mississippi only the subspecies generosa is present, occurring largely throughout Mississippi but barely entering Alabama from the west. 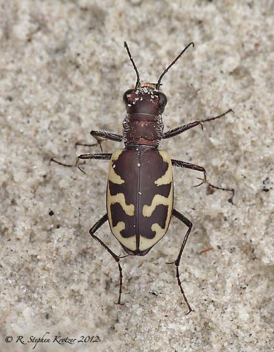 This species occurs in loose, dry sand, including large sand bars along blackwater rivers in our area. 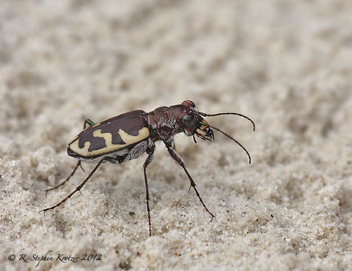 A spring/fall species, adults are active from April - July and again from August - October in our part of its range.